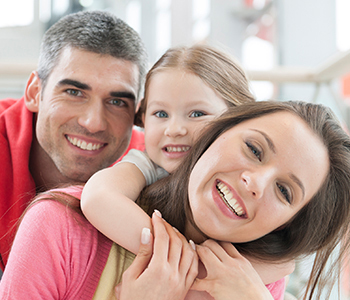 Having all your family members treated at the same dental practice is a convenient way to keep everyone’s smile healthy and beautiful. At Aberdeen Dental Centre, our team works with patients of all ages, from the young to the young at heart, by providing a wide range of general, restorative, and cosmetic dental services. From cleanings and exams to restorations and smile makeovers, we understand the nuances associated with dental care at different stages of life. We love helping children develop a love for oral health and become comfortable in our office. From their first visit, we strive to keep dental care informative and fun. By teaching children proper methods of oral hygiene, we help them establish good habits for life. Even with great oral hygiene, cavities can happen. We provide tooth-colored fillings along with crowns and root canal therapy to eliminate bacteria and infections and restore oral health. Having a straighter smile isn’t just about aesthetics, it can improve oral health, as straighter teeth are easier to clean. Invisalign is an alternative to traditional braces that uses clear aligner trays to shift teeth into the proper position. Veneers are a fantastic cosmetic solution because they improve a wide variety of perfections. Patients may want veneers to cover up gaps, permanent discoloration, chips, cracks, or uneven teeth. Missing teeth can affect the appearance of your smile, the symmetry of your face and even lead to more missing teeth. We offer both dentures and implants as options for patients who wish to restore their smile after tooth loss. To learn more about our wide range of services, call our office today at (250) 545 3319 and schedule an appointment.